CONCORD, N.C. (June 22, 2017) – After a hard crash and premature ending at Michigan, rookie driver Zane Smith is anxious to hit the reset button when the ARCA Racing Series presented by Menards resumes Friday night for the Montgomery Ward 200 at Madison International Speedway. 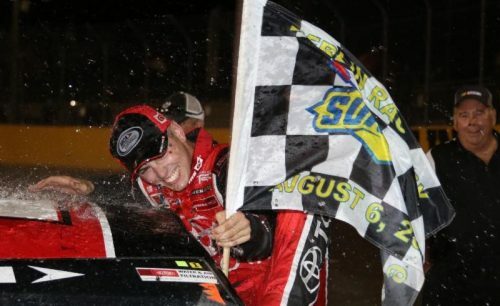 MARNE, Mich. (August 6, 2016) – As difficult as it was for several, Dalton Sargeant kept himself out of trouble for 200 laps and out in front when it counted the most to win the action-packed, spark-filled Berlin ARCA 200 Saturday night at Berlin Raceway. 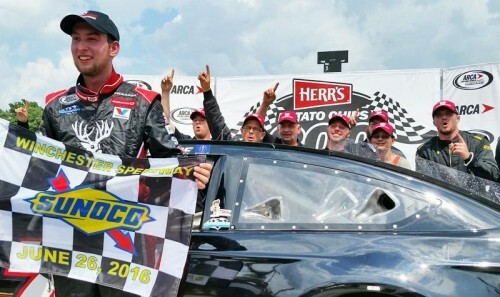 MADISON, Wis. (June 19, 2016) – Josh Williams said after his career-first victory at Nashville back in April that he was going to win more races. He was right. 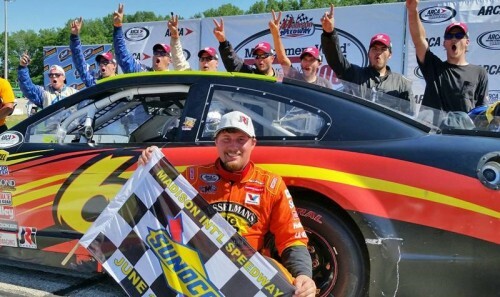 Williams, in the family car, held off a hard-charging Kyle Weatherman to win the Montgomery Ward Father’s Day 200 Sunday afternoon at Madison Int’l Speedway. After eight different winners in as many races, Williams, in his own No. 6 Southwest Florida Cable Construction Chevrolet, became the first repeat winner of the 2016 ARCA Racing Series presented by Menards season. BROOKLYN, Mich. (June 10, 2016) – Brandon Jones took advantage of his own really fast No. 8 Menards-Valvoline Chevrolet and Kyle Weatherman’s empty gas tank to win the 35th running of the Corrigan Oil 200 Friday afternoon at Michigan Int’l Speedway. Late-race leader Weatherman gambled on fuel but ran well short when his No. 58 St. Charles Glass Ford ran dry four laps from the finish. From there, Jones cruised under the checkered flag more than six seconds ahead of his closest rival Chase Briscoe. 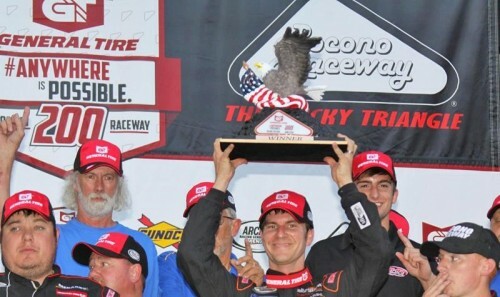 LONG POND, Pa. (June 3, 2016) – ARCA Racing Series presented by Menards veteran Grant Enfinger held off a hard-charging, hungry rookie to win Friday’s hard-fought General Tire #AnywhereIsPossible200 at Pocono Raceway. 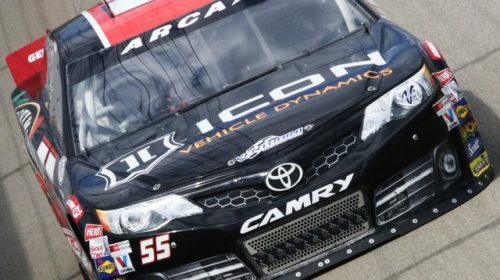 Despite being in the fuel conversation mode over the last 20 laps, Enfinger had to go as hard as he could over the final three laps to hold off Austin Cindric who had been chopping off as much as a half-second per lap over the final 10. 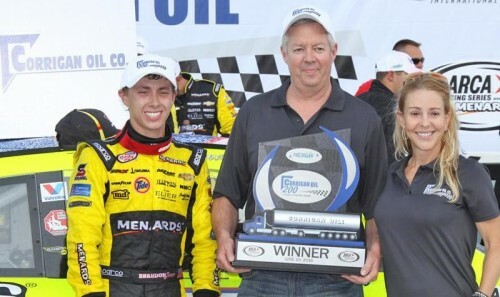 TOLEDO, Ohio (May 22, 2016) – If rookie Myatt Snider wasn’t exactly sure of his ability to win going into his career-first ARCA Racing Series presented by Menards race, he’s more than convinced now. The 21-year-old Charlotte, North Carolina driver, in the No. 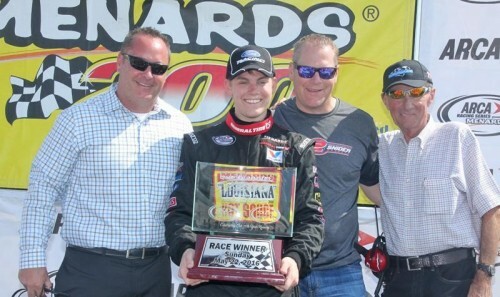 22 Original Louisiana Hot Sauce-Cunningham Motorsports Ford, won the Menards 200 presented by Federated Car Care Sunday afternoon at Toledo Speedway. “I knew Cunningham Motorsports was capable of doing it; I just wasn’t sure if I was capable,” Snider said from the 7-Up Winner’s Circle. TOLEDO, Ohio (May 18, 2016) – The first ever Live ARCA Racing Series presented by Menards telecast on the American Sports Network is scheduled for Sunday afternoon, May 22 at 2:00 p.m. Eastern Time. The broadcast, from Toledo Speedway, will mark the historic inaugural airing of motorsports on the start-up 24-hour sports network owned by Sinclair Broadcasting Group. The live telecast will be available to more than 40 Million US homes, and will also be streamed on-line at the ASN website, AmericanSportsNet.com.